"Now comes your turn to celebrate that heroic spirit in a new coaster that’s sure to test your mettle, and leave you screaming for more! It’s the FireChaser Express – the nation's first dual launch family coaster – blasting riders forward and backward!" 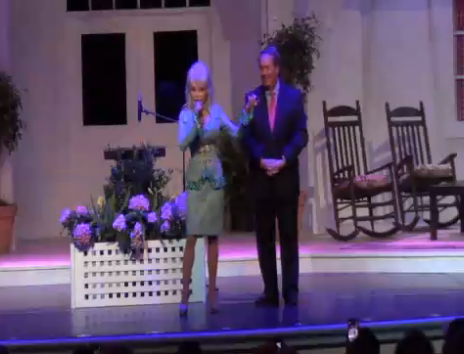 Today at 11am Dollywood announced what the mystery project for 2014 will be. The park is adding in a new duel launch roller coaster called Fire Chaser Express. The stats for this new attraction look pretty amazing, the United State's first duel launch coaster. It's a forward and back launched roller coaster, which is labeled as a family coaster "little kids, 4 years old, can ride". With this addition Dollywood will now host seven roller coasters and dozens of other rides and attractions. The park has also hinted that they plan to keep up the building spree in the coming years with new "big attractions" and "big shows". It is themed around saving the great smokey mountains from a forest fire on the Fire Chaser Express train. This total upgrade of the park also includes a new family resort to be built on Dollywood property, both projects are costing in the range of $300 million over the next ten years. The resort, called "Dreammore Resort" will have 300 rooms on 100 acres of property next the the water park with ground transportation available. It's planned to open in 2015. There is also a new Christmas Show where Dolly herself will play the "Ghost of Christmas Past" coming to the park.